LeadsCon, the world’s largest performance conference and exposition is just around the corner. LeadsCon Las Vegas 2019 will take place in Las Vegas, March 4-6, 2018 and the OPTIZMO Team will be joining thousands of Lead Generation experts at the Mirage for three great days of networking and educational sessions. 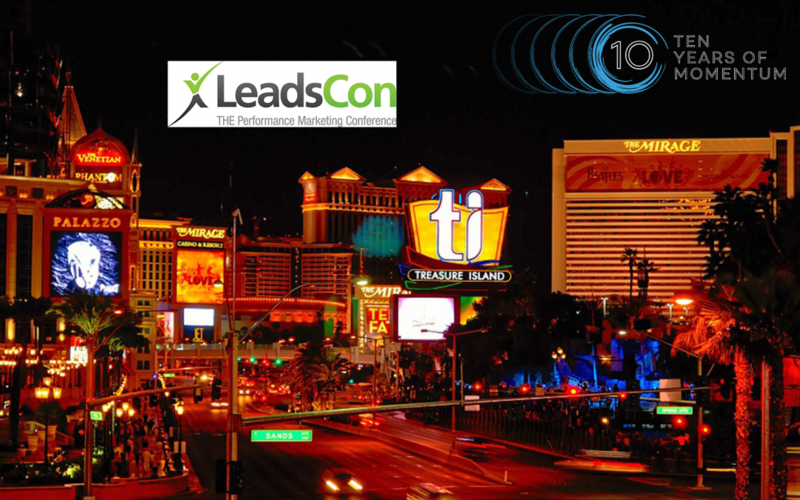 Every year, LeadsCon Las Vegas brings together experts in Lead Gen and Performance Marketing from around the globe, who are looking for accountability in their marketing spend and have results-driven marketing objectives – from per-click to per-inquiry. It’s a great opportunity to gain better understanding of the ever evolving landscape of performance marketing and lead gen.
Attendees can take advantage of a unique curriculum designed to address and solve acquisition and conversion challenges delivered by some of the biggest brands in the industry. With a content agenda personally programmed by the award-winning editorial team of LeadsCon— featuring the biggest names, the most emerging experts and the most candid industry experts—it’s no surprise it’s the most-attended conference on performance marketing and lead-gen. The OPTIZMO team will be taking advantage of the event to meet with many of our current clients and partners and also get a chance to network with new connections across the email marketing and performance marketing industries. If you would like to meet with one of our team members, simply click on a meeting link below.